Extremely Average #83: I love geometry. The beauty of a fine piece of furniture can be destilled down to the geometry. The angles, the ratios, the use of different colors to create leading lines that take the eye around the piece, just as one would do with a fine painting. I don’t know if most woodworkers use a compass or not, but I have dug mine out and rediscovered my love of geometry. A straight edge, a pencil, a compass and it is amazing what one can calculate. 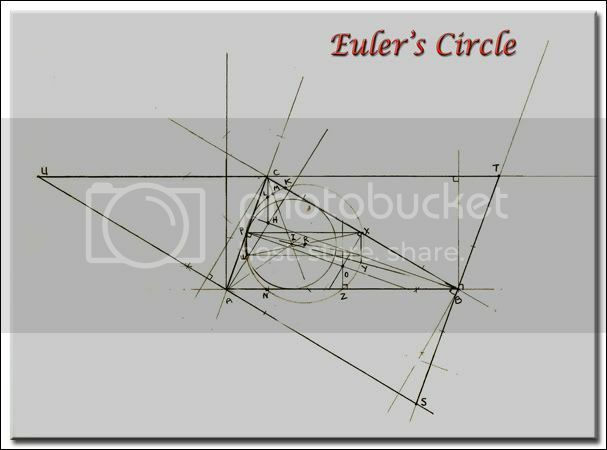 The below picture is my favorite geometry proof. If you are interested in how I used geometry in my router table project, feel free to follow the link. If you just want to stare at the beauty of a geometry proof, feel free to hang out here a bit.